At Rawk Star Cafe, only the freshest, organic ingredients are used for all our food items, smoothies and elixir drinks. We've tried, tasted and tested all the possibilities and take great pride in the quality of superfoods, superherbs and superfruits we are fortunate enough to provide to the public. We are also confident in our ability to only offer our guests the best nutritional ingredients possible. There is something for everyone on our menu. If you need something altered, feel free to let us know. Our amazing staff will do their best to happily accommodate your needs. Build Your Own PowerHouse Smoothie! Add Collard Greens or Baby Spinach! 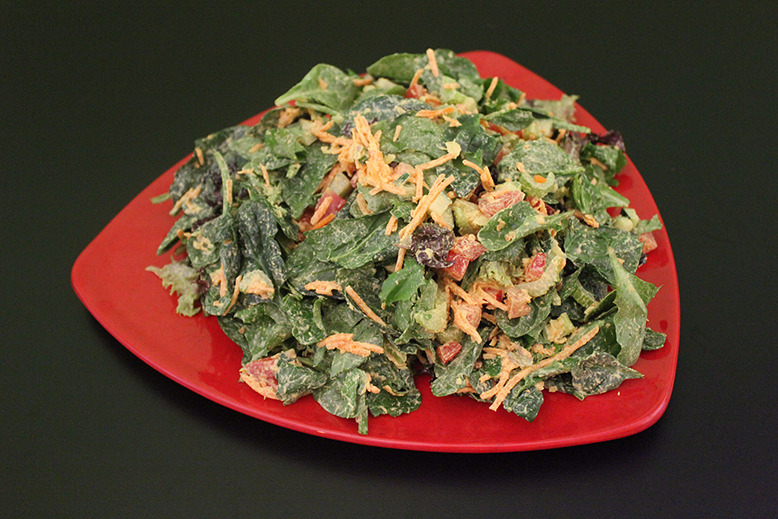 Our Base ALWAYS Includes a Mix of Collards Greens AND Baby Spinach! Add One or MORE Superfood Boosters to Your Smoothie! Chlorella, Spirulina, Bee Pollen, Chia Seeds, Coconut Oil, Coconut Flakes, Goji Berries, Goldenberries, Raw Cacao Powder, Maca Powder, Mesquite Powder, Hemp Protein, SunWarrior Protein, Protein (other), Super Greens (other), and/or MyCommunity by Host Defense (a synergistic blend of 17 immune modulating medicinal mushrooms)! OR... Add our Signature "Rawk 'N Roll Inferno Blend!" A synergistic blend of our favorite Superfood Boosters to bring your smoothie to the next level! Feel your energy EXPLODE with our special, house blend of Spirulina, Raw Cacao Powder, Maca Powder, Mesquite Powder, Coconut Flakes, and Hemp Protein! Brazil Nut Mylk, Banana, Mango, Raw Agave Nectar, and a Double Dose of Raw Cacao. Hemp Seed Mylk, Orange, Banana, Raw Agave Nectar and a Double Dose of Goji Berries. Hemp seed Mylk, Raw Agave Nectar, Banana, Strawberries, Protein and Super Greens. Brazil Nut Mylk, Raw Local Honey, Apple, Mango, and Rawk 'N Roll Inferno Blend. Hemp Seed Mylk, Raw Local Honey, Banana, Mango, Chlorella, Chia Seeds, Lemon, Ginger, and MyCommunity by Host Defense. Fair-trade and hand-roasted from Guatemala! BulletProof Coffee is a pure, slow roasted coffee guaranteed to be free of mycotoxins (from mold growth) and other undesirable chemicals (such as pesticides). BulletProof Coffee, XCT Oil, Mucuna, Lucuma and Butterscotch Toffee Liquid Stevia. BulletProof Coffee, XCT Oil, Maca, Mesquite, Cacao and Butterscotch Toffee Liquid Stevia. Cold-brewed Bulletproof Coffee poured over ice - 70% less acidic. Try one of our delicious, cold-brewed iced teas - ready to quench your Florida thirst! Caffeine-Free Hibiscus Tea or Caffeinated Mango Black Tea. We have a beautiful array of organic, loose leaf teas from around the globe - served hot or over ice. Freshly sliced avocado with dulse, (a highly nutritious sea vegetable/seaweed), wrapped in a collard leaf with mixed baby greens and tomato, accented with our sweet avocado sauce. Freshly sliced avocado wrapped in a collard leaf with mixed baby greens, cucumber, celery, carrots, tomato, and red bell pepper accented with our tahini mustard sauce. Our Famous Egg-Less Nut Pate (macadamia nuts, cashews, turnip, turmeric, apple cider vinegar, lemon, etc.) wrapped in a collard leaf with mixed baby greens, cucumber, celery, carrots, tomato, and red bell pepper. Our Sweet & Spicy Rawkster Nut Pate (pumpkin seeds, pecans, red bell pepper, apple, house blend of Mediterranean style spices, etc.) wrapped in a collard leaf with mixed baby greens, cucumber, celery, carrots, tomato, and red bell pepper. Our Hardy Rawk Star Chili (walnuts, carrots, red bell pepper, jalapeno pepper, cayenne pepper, sun-dried tomatoes, etc.) 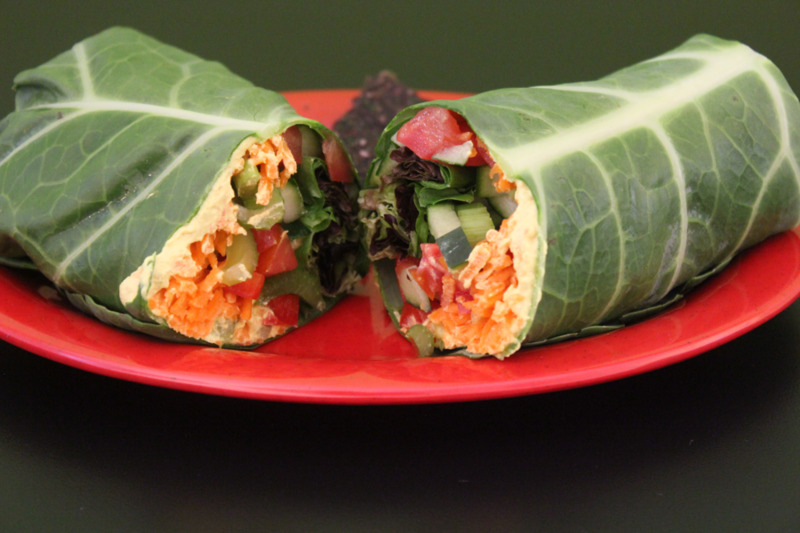 wrapped in a collard leaf with mixed baby greens, cucumber, celery, carrots, tomato, and red bell peppers. A fresh blend of organic, mixed baby greens served with freshly chopped cucumber, celery, carrots, tomato and red bell pepper! Get it enhanced with fresh sprouts (when available), or for an additional charge add our amazingly flavorful, house-blended Prama Sprinkle, sun-dried tomatoes, sun-dried black olives, freshly sliced avocado, etc. Hemp Seeds, Pumpkin Seeds, Sunflower Seeds, Black Sesame Seeds, Dulse Flakes, Chlorella and Spirulina are also available! Our SuperHero salad with one of our scrumptious nut pates tossed in! Your choice of either Egg-less, Rawkster or our Raw Chili. Zucchini pasta and kelp noodles served with our special hemp pesto or alfredo sauce, topped with fresh veggies and our house-blended Prama Sprinkle. So tasty and good for you too! No that's amore!! Two veggie-seed burgers containing, shiitake mushroom, sun-dried tomatoes, green cabbage, zucchini, carrots and select herbs, served between dehydrated flat bread. Each burger is delicately topped with our house tahini mustard sauce along with organic baby lettuce, sliced tomato, cucumber and a dehydrated onion ring, all accompanied with a scoop of raw slaw. First we start with our rawesomely delicious dehydrated crust - consisting of sunflower seeds, freshly ground flax seeds, sun-dried tomatoes, and our house blend of Italian herbs. Then, we layer with a tomato marinara and freshly shredded zucchini, baby spinach, and carrots. Finally, we top with a macadamia nut "cheeze," sun-dried black olives, (or without), and our house-blended Prama Sprinkle. Ah Yes! This is a Hardy Rawk Star of a Chili - loaded with fresh tomatoes, sun-dried tomatoes, walnuts, carrots, celery, shiitake mushroom, red bell pepper, and just enough jalapeno and cayenne for a little "South of the Border" heat. Our perfectly blended chili spices are what gives this raw, vegan chili dish its kick. Colorfully served over a bed of thinly chopped zucchini, and then topped with a macadamia nut "sour cream," fresh tomatoes and our house-blended Prama Sprinkle. Choose from a variety of hand-crafted desserts. We make being a little naughty feel soo nice! Decadent tasting but made from whole foods and ingredients you can feel good about treating yourself to at any time of the day! We truly have something for everyone. Chocolate lovers can enjoy Karen's Matcha Creme Cake, Mulberry Brownie Bites, or some Pecan La-Carmel Turtles. Coconut fans - go cuckoo for Maca-Roons! For those of you with a berry or tropical fruit craving, we make and carry seasonal varieties of cashew based cheezecakes and specialty pies. Have No Fear, There's NO Dairy Here! Feeling the need to chill from the hot, sizzling sun? Then be sure to enjoy a dish of our home-made Ice Scream. Rawk Star Cafe's Ice Scream is made from a delicious blend of cashews and coconuts with lucuma (a famous Peruvian fruit) being the chart topping, flavor hit amongst the peeps. For a small upcharge, why not add a scoop to any cake or pie slice? No guilt here ~ just scrumptiously healthy alternatives that will make you sing and smile with joy!